THAILAND’S CENTARA HOTELS & RESORTS has won five awards in the SmartTravelAsia Best in Travel Poll 2014, conducted by the region’s leading dedicated online magazine for frequent flyers. The open poll ran for three months May-July and is based on findings from travellers who undertake at least 12 air trips each year. Vijay Verghese, editor of SmartTravelAsia, presented the awards to the Centara executive team during a ceremony at Centara Grand & Bangkok Convention Centre at CentralWorld. “The awards are based on direct feedback from frequent travellers from around the world, and we are delighted to have received such a strong endorsement from our guests,” said Thirayuth Chirathivat, CEO, Centara Hotels & Resorts. Centara had also won multiple awards in the 2013, 2012 and 2011 SmartTravelAsia poll, which is now in its 10th year. Centara Grand at CentralWorld was named in the 2014 awards as being amongst the top 25 business hotels and the top 25 conference hotels in Asia. Centara Grand Beach Resort & Villas Hua Hin, a member of the Leading Hotels of the World, was named as one of the top 25 spa resorts in Asia. 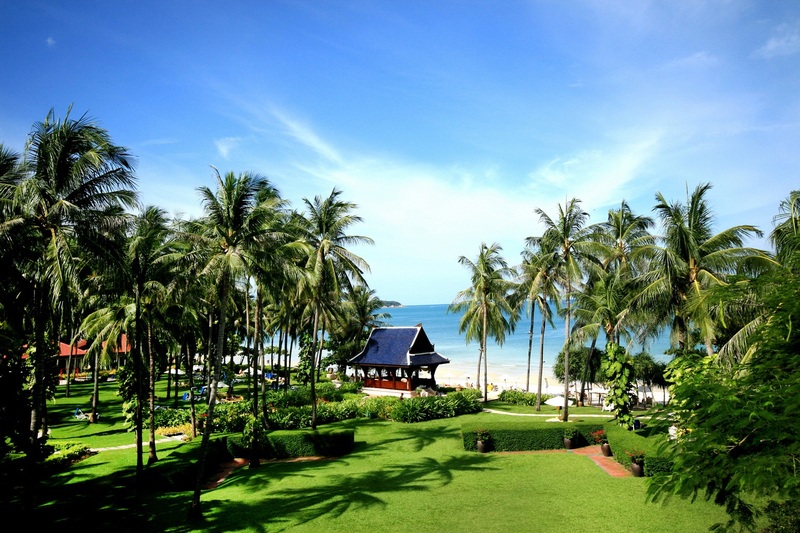 Centara Grand Beach Resort Samui was awarded as one of the region’s top 25 leisure hotels and top 25 spa resorts. THREE RESORT HOTELS operated by Centara Hotels & Resorts have won the TripAdvisor Travelers’ Choice 2014 Family Award. The resorts are Centara Grand Mirage Beach Resort Pattaya, Centara Grand Beach Resort Phuket, and Centara Karon Resort Phuket. 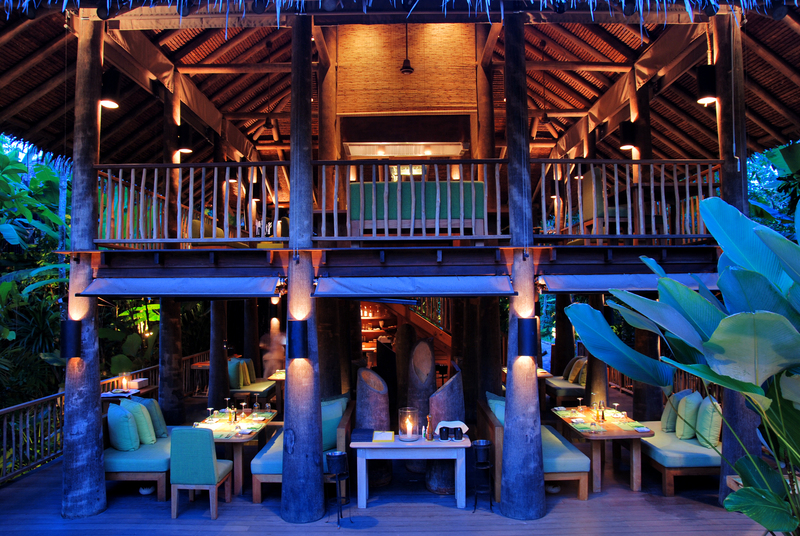 The awards are based on reviews written by guests on the TripAdvisor website. “Providing an environment where a family can enjoy time together staying in rooms and suites designed for their convenience, and with a host of complimentary activities, is central to our over-all policy, and we are delighted that these three resorts have gained such outstanding recognition from our guests,” says Chris Bailey, senior vice president for sales and marketing at Centara Hotels & Resorts. Centara Grand Mirage Beach Resort Pattaya is Thailand’s first theme hotel, built to a Lost World theme and featuring a jungled water park with pools, waterfalls, water slides, a lazy river, and direct access to the beach. In addition to its water sports, beach games and activities such as a rock climbing wall, tennis and table tennis, Centara Grand Mirage has recently added a full program of family-oriented activities that include aqua aerobics, dance aerobics pool games, Pilates, water polo, breakdancing, crossfit training, power pumping, zoomba dancing, a mini disco, a family fun contest and bingo, and has theme nights including Cowboy Night, Dance Game Night, Quiz Night and Family Disco Night. Also designed around a water park and with direct beach access, Centara Grand Beach Resort Phuket has a broad range of family activities, including kayaking, windsurfing, sailing and snorkelling. 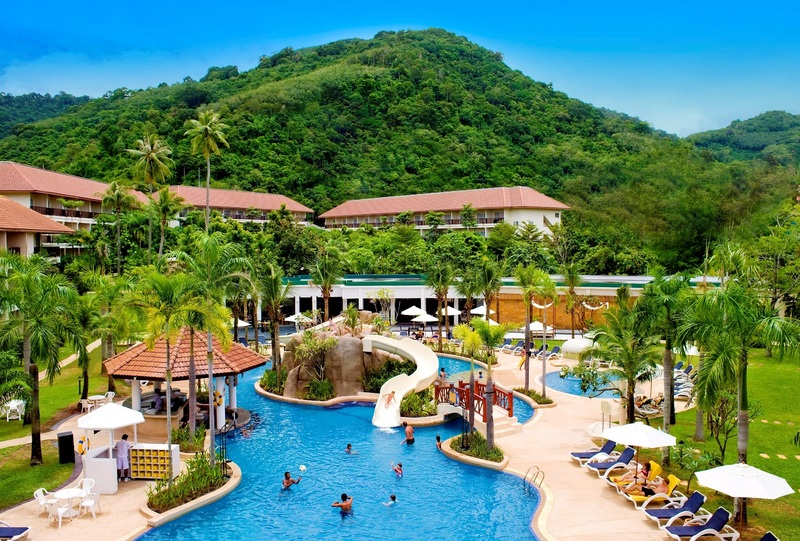 Centara Karon Resort Phuket has four different residential zones, ensuring that families have suitable accommodation, and features three swimming pools with waterfalls and waterslides along with floodlit tennis courts. All three resorts offer the option of king bed or two double beds, for comfortable family sleeping, and a Kids’ Club that has separate zones for the young ones and the teens. BHMASIA IS WORKING with an investor for the development of X2 Hat Yai Hotel which is expected to open in 2016 or 2017. 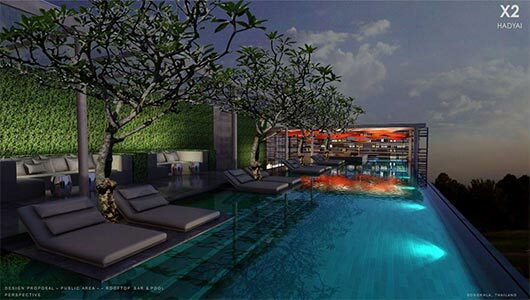 This property will be the first X2 City Hotel and is currently under construction in the city centre of Hat Yai. 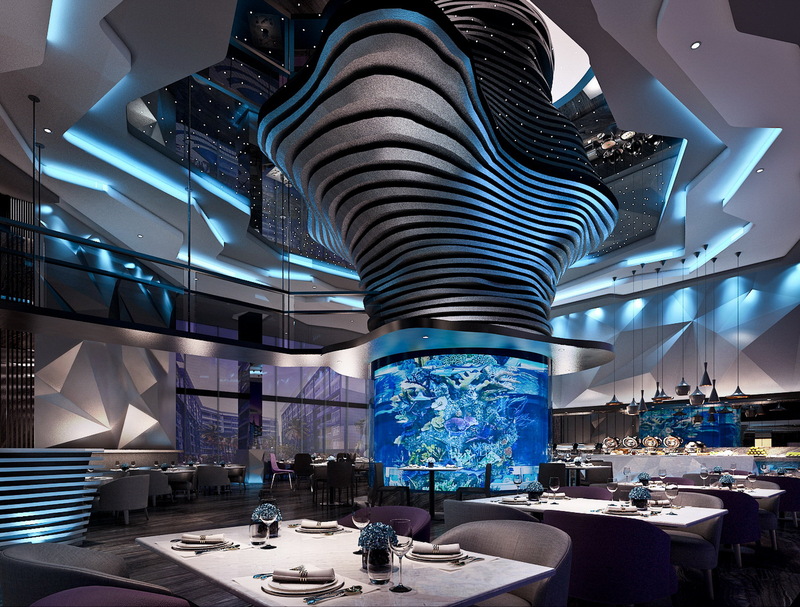 The hotel will offer panoramic city views from the glass-fronted rooms and the rooftop pool, bar and restaurant. X2 Hat Yai will consist of 44 rooms in five categories; X2 Mini Suite, X2 balcony suite, X2 two-bedroom Suite, X2 duplex and the X2 penthouse. The facilities include a lobby restaurant and bar, business centre and meeting room facilities, library, gym and a rooftop pool, bar and restaurant. 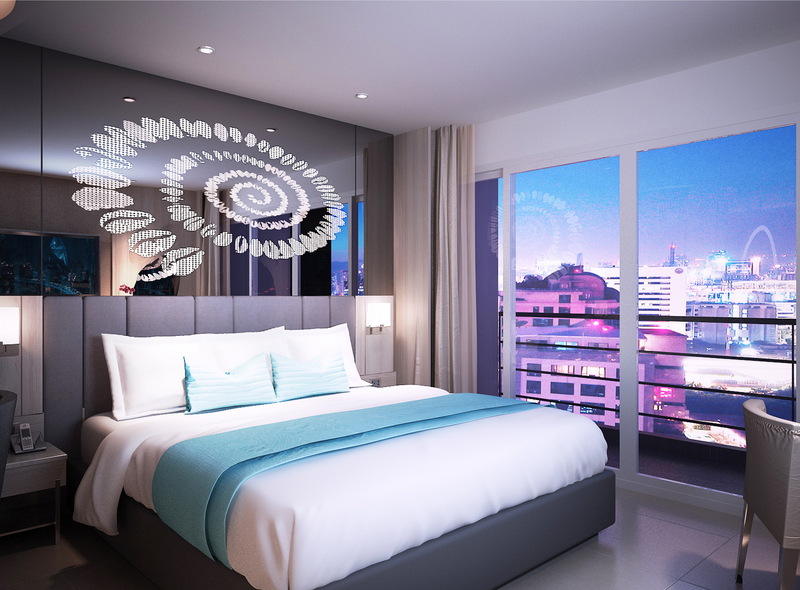 X2 Hat Yai is a new interpretation of the X2 vision, adapting the successful concept into a five-star city hotel which caters to business travelers and luxury tourists. The hotel provides guests with a level of service, privacy and convenience that has become standard at all X2 properties. X2’s business centre fits with Hat Yai as the city is the business hub of the province, with an established and growing tourism market and the third largest metropolitan area of Thailand. 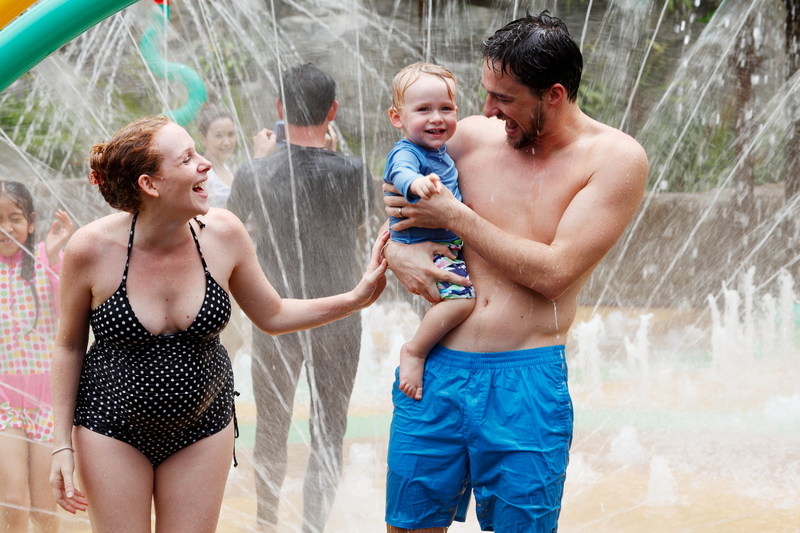 THE WATER PARK at Centara Grand Mirage Beach Resort Pattaya now includes a Monsoon Island as well as water sprays, water gun shooters, water ratchet, water umbrella, water flower, waterspout, and a jumbo water bucket mounted on a tower. Monsoon Island is located near to Oceans restaurant and the pool terrace, and joins the five swimming pools, 12 waterslides, the waterfalls, lazy river and the rope bridges of the jungled Lost World water park, which leads directly onto Wong Amat Beach. The resort has also introduced an action-packed program of games and entertainment – free for guests at Centara Grand Mirage Beach Resort. The program is organized and maintained by Carpe Diem Entertainment Company, the largest company in southeast Europe providing entertainment for tourists. Activities are held seven days a week. Aqua aerobics are held daily, and there are regular sessions of water basketball and water volleyball. A family fun contest takes place at the poolside, with games everyone can join in such as ring tossing, sandals shooting and Muay Talay, or pipe wrestling. On the beach and in the resort are activities and tournaments that include volleyball, zumba, yoga, breakdancing, kayaking, table tennis, and rock climbing on the resort’s rock wall. There is a Kids’ Club with professional supervisors entertaining the youngsters, leaving parents to spend a little time relaxing on their own. The children also have their own Mini Disco and an Aqua Disco. Centara Grand Mirage Beach Resort Pattaya the only fully themed hotel in Pattaya, designed around a Lost World theme, and set directly on its own beachfront at Northern Pattaya. KING POWER DUTY FREE was crowned winner of the 13th annual King’s Cup Elephant Tournament in Bangkok, beating out Audemars Piquet in a penalty shootout in “sudden death” overtime. Third and fourth spots were taken by teams fielded by PriceWaterhouseCooper New Zealand All blacks and The Peninsula. Sixteen teams took part is this year’s championship. The final day’s events were president over by the King of Thailand’s royal representative, Privy Councilor Real Admiral Mom Luang Usni Pramoj. The tournament took place at the Siam Polo Park at VR Sports Club in Bangkok, with lead sponsors Audemars Piguet, the Tourism Authority of Thailand (TAT) and Anantara Hotels, Resorts & Spas. It was the first time the tournament was held in Bangkok. This year’s players included the New Zealand All Blacks’ Mark “Cowboy” Shaw, Olo Brown and Charlie Riechelmann, Thai supermodels and many leading international horse polo players. A total of 50 street elephants took part in this year’s tournament, during which they were well fed, received essential vitamin supplements, full veterinary checks and care for the duration of the event. Friday night’s gala dinner at Anantara Bangkok Riverside Resort & Spa, which played host to a gathering of top dignitaries, players, media and well known celebrities, with the night’s auction raising 4.5 million Thai Baht, taking the total raised to date by the tournament to an impressive US$900,000 (THB 28.7 million). . 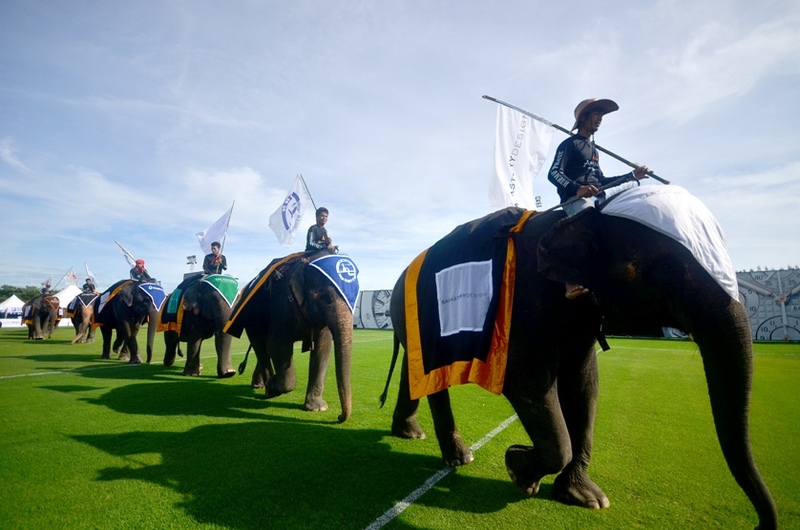 The tournament was introduced to Thailand in 2001 by Anantara Hotels, Resorts & Spas and has grown to become one of the biggest charitable events in Thailand, raising funds for projects that better the lives of Thailand’s elephant population. Friday night’s gala dinner at Anantara Bangkok Riverside Resort & Spa hosted a gathering of top dignitaries, players, media and well known celebrities, with the night’s auction raising 4.5 million Thai Baht, taking the total raised to date by the tournament to an impressive US$900,000 (THB 28.7 million). With free admission, the event has something for everyone, kicking off with a spectacular opening parade, with the opening ceremony overseen by Thailand’s last ‘elephant spirit men’ (Kru Ba Yai), traditional dancers, plus the daily trunk-to-trunk action on the pitch. The tournament wasd host to 2,000 children from schools all over Bangkok. Known as Chang Noi Day (Little Elephant Day), the children were invited to get up close with the elephants and learn more about their national animal. A range of educational walks, games and activities all teaching the benefits of elephant conservation and well-being were put on by the organizers. Saturday was ‘Ladies Day’ or the new ‘Ascot’ of Bangkok. Women from all walks of life dressed to impress – with the best dressed winning a week’s holiday at NIYAMA in the Maldives. The day also saw a ‘High Tea-Off’ competition with three Bangkok hotels competing to be voted the best high tea. On pitch entertainment included Thai bands and a specially choreographed show by Tiffany Show Pattaya, Thailand’s most famous trans-gender cabaret. The tournament attracted players and media came from all corners of the globe, including USA and Canada, New Zealand, India, Europe, the UAE, Hong Kong, China, Singapore, and many local visitors from Bangkok and around Thailand. Projects to benefit from the 2014 tournament are currently being completed, and will include an extension of the on-going Thai Elephant Therapy Project undertaken since 2009 in conjunction with Chiang Mai University Department of Occupational Therapy, with future clinics to include children with Down syndrome and other conditions. 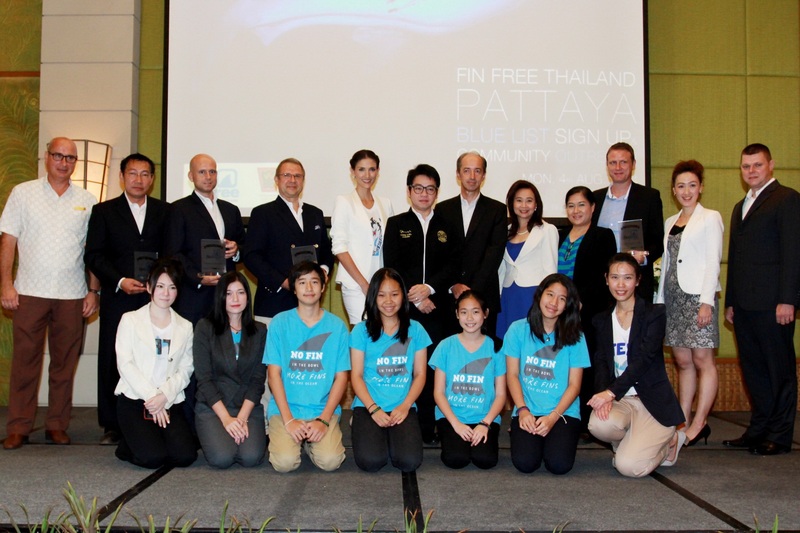 Other significant benefits from money raised by the tournament include: building the first elephant hospital in Krabi in the southern part of Thailand; a THB 500,000 gantry to help lame elephants stand, donated to the Thai Elephant Conservation Centre (TECC); 4,000 trees planted in Hua Hin to shelter elephant corridors from electric fencing in the area; funding the first educational computer application for children to teach them the importance of conservation and protection of wild elephants in Thailand; and funding Asia’s first workshop to show traditional elephant trainers and camp owners the benefits of Positive Reinforcement Training for domesticated elephants. 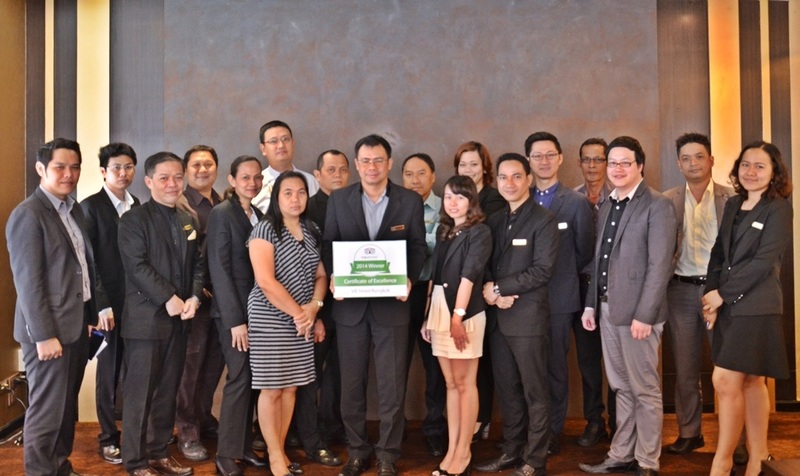 VIE HOTEL BANGKOK has been awarded a TripAdvisor Certificate of Excellence. The accolade, which honours hospitality excellence, is given only to establishments that consistently achieve outstanding traveller reviews on TripAdvisor, and is extended to qualifying businesses worldwide. Establishments awarded the Certificate of Excellence are located all over the globe and represent the upper echelon of businesses listed on the website. When selecting Certificate of Excellence winners, TripAdvisor uses a proprietary algorithm to determine the honorees that takes into account reviews ratings. Businesses must maintain an overall TripAdvisor bubble rating of at least four out of five, as well as volume and recency of reviews. Additional criteria include a business’s tenure and popularity ranking on the site. 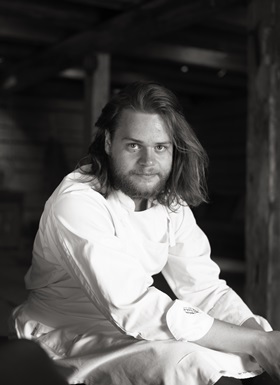 SWEDISH CHEF MAGNUS NILSSON from the world famous restaurant Faviken Magasinet will be offering a once-in-lifetime dining experience” at Six Senses Yao Noi’s Dining Room. The one and only event will take place on Friday, Oct. 31. Guests will enjoy a special multiple-course degustation dinner in the Dining Room created by the Six Senses kitchen team under the direction of Chef Magnus. The dinner is limited to 26 people. Multiple-course degustation menu is priced at 3,000 THB per person, and the multiple-course degustation menu, including paired wine, 5,000 THB per person. Chef Magnus’ restaurant, situated on an 32 square miles (8,400 hectare) estate, 435 miles (700 kilometers) north of Stockholm, seats less than 20 guests and focuses on using the produce from the estate and local region. As the area is snowbound for the entire winter, Chef Magnus and his team have developed preserving techniques to provide sufficient food for guests during this period. Magnus has captured “soul of food” at its most vivid and explicit form at its natural source in the world. In summary, Faviken presents unlike any other dining experience, sustainable, wholesome, additive-free food with consummate respect for the local environment. The sustainable and organic approach of the resort combined with Chef Magnus’ expertise will be showcased in a special dinner, where his interpretation of local produce found in the resort’s organic gardens and the surrounding area will make for a truly unique and memorable experience. Chef Magnus, with his culinary gifts and sincere passion exemplifies Six Senses core philosophies of sustainability and respect for the environment, says Manish Puri, the resort’s general manager. LA VIE SET LUNCH at VIE Hotel Bangkok is being offered at a 50% discount during the month of September. The set lunch is served every day from noon to 3 pm at La VIE – the hotgel’s Creative French Cuisine restaurant. The three-course Set Lunch includes a variety of starters, soups and salads, its signature Snow Fish, lamb chop and grilled selections for main course choices, and finishes with rich desserts such as dark and white chocolate millefeuille, French crème brûlée or chocolate fondant. Also included is a choice of six special healthy “VIE Life Enhancing drinks”. La VIE Set Lunch is priced at 739 THB per person.